There is a lovely story on the Noor Kids website about the founder’s motivation to start this magazine/book, which i have shared at the bottom! 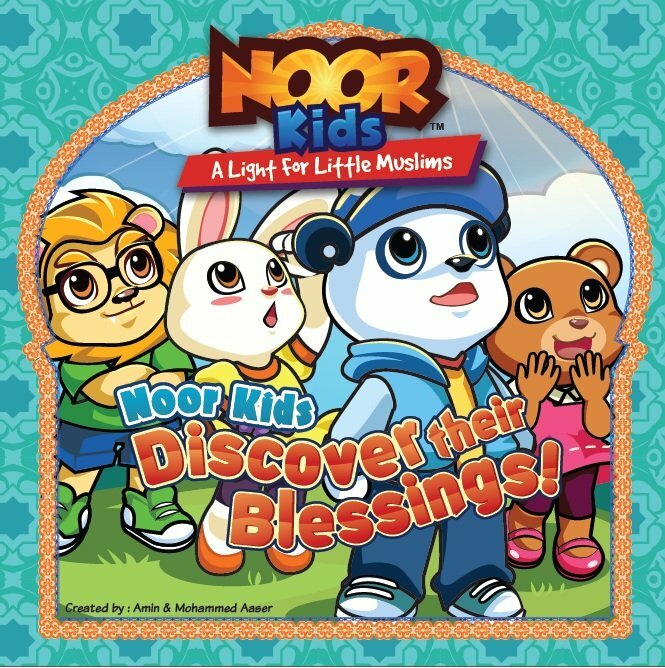 But a quick summary of Noor Kids first – using 4 main characters, it is created for 3-8 year old children. The magazine includes a cartoon strip, little games like Spot the Difference – but with Islamic themes such as Muslim Inventions, the introduction of Arabic words, and it also has an ‘In the Kitchen’ section, featuring different recipes. Each of these (and more!) is featured around a certain topic – Hajj, or honesty for example. And here is the founder’s story! “She is due in four months,” my sister announced. I was going to be an uncle! But that night, as I thought about my childhood, I realized a bitter truth: I had been ashamed of my Muslim identity. Would my niece be ashamed of her identity as well? Not if I could help it. That night, I relived painful memories. I had loved when my mom cheered during baseball games – but after 9/11, I became embarrassed of her headscarf and asked her to stop attending. Fasting had taught me gratitude – but, when friends asked about it, insecurity caused me to hide the Islamic intentions behind my practice. Time and again, I felt ashamed of my faith in front of my American peers. I wish I had not been so embarrassed of my identity. “What about my niece?” I thought to myself. I could not let her face the same challenges that I experienced. I began surveying parents at my mosque to see if they shared the concern. They did. Unanimously.